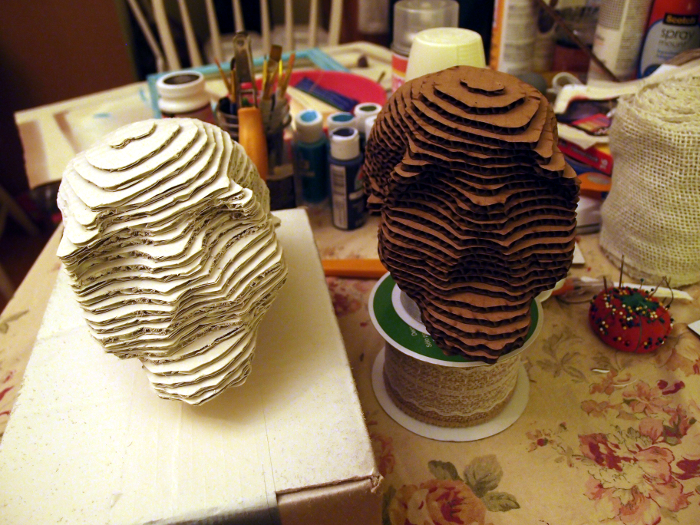 Cardboard models can either be cut out using a Laser Cutter if you have access to one, or by using Autodesk 123D Make to make your own patterns and sizes using the downloadable files. 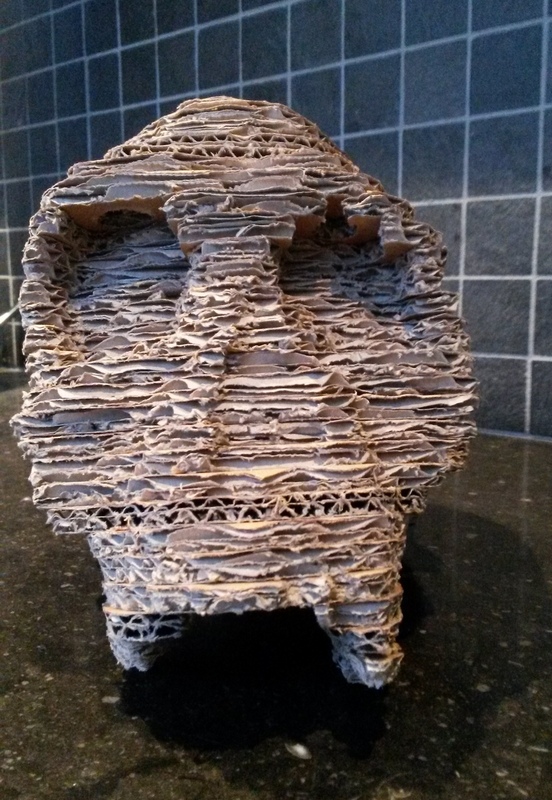 Alternatively if you have the determination you can download the PDF template to print out on a regular printer and glue the pattern on to some recycled cardboard to cut out the pieces for assembly. 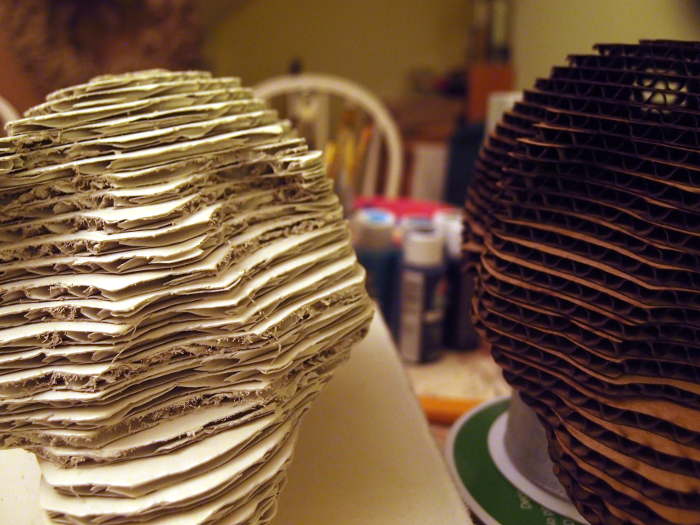 We will soon preload several laser cut cardboard models that can be ordered from Ponoko in several card thicknesses. These will be offered in a variety of sizes and materials and make an engaging project for use in classrooms. I have no access to a laser cutter so doing it all by hand. It's a puzzle I must say, especially the last tiny bits. I realy have no clue as where the ones with no lines and pinholes have to be placed. It concerns 1-1, 3-2, 4-2, 6-2, 7-2, 8-2, 9-2, 11-2, 1-3, 6-3, 8-3 and 6-4. Are they teeth as well? Any help would be appreciated! Thanks in advance. See pictures for what I produced so far. 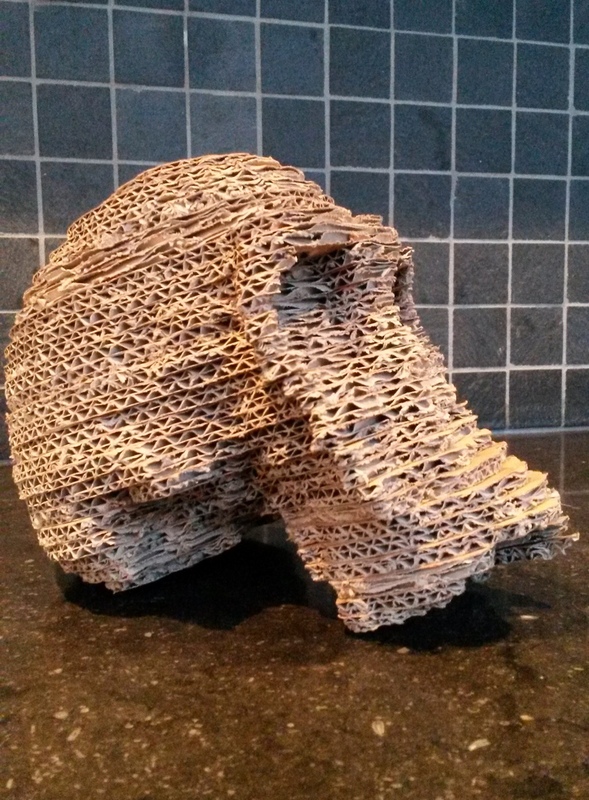 Many congratulations on assembling the skulls using hand cut cardboard, having done it myself I know how difficult it is. The small pieces are not much help and yes are some of the teeth. We generally do not use those small pieces as they are too fiddly to be helpful. You can perhaps look at the digital model and see where you could place them to build it out a bit but otherwise dont bother with stickign them on as its not easy to work them out. Many thanks for sharing your models and posting photographs, this is wonderful. Thank you all for your nice comments. Good to here I didn't mess it up to much..
@Ngechu: thank you for your suggestion by using '123D make'. Nice programm. Although I don't want to discard the tiny bits, I too find it hard to reconstruct the exact same shapes in '123D make' as I downloaded from your website (full size cardboard model/letter). Whatever I try, the shapes and number of pieces seem to differ and that makes it hard to compare. 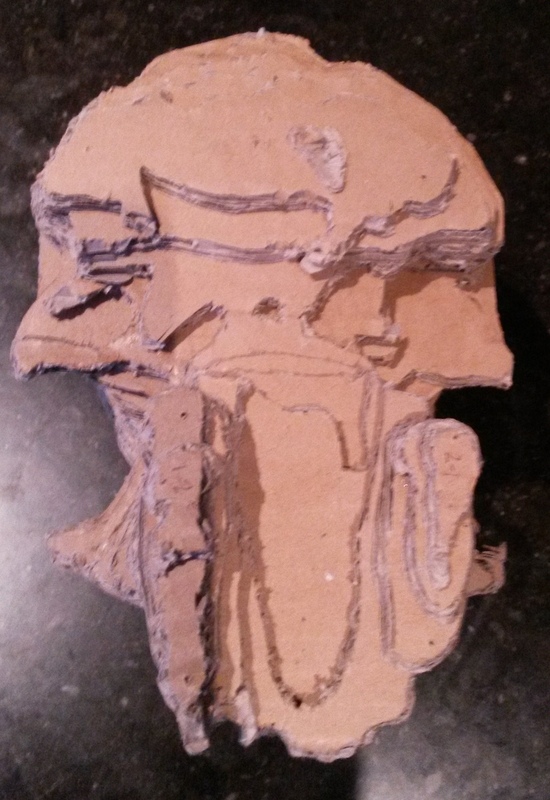 What exact input did you use to create the downloadable cardboardmodel? 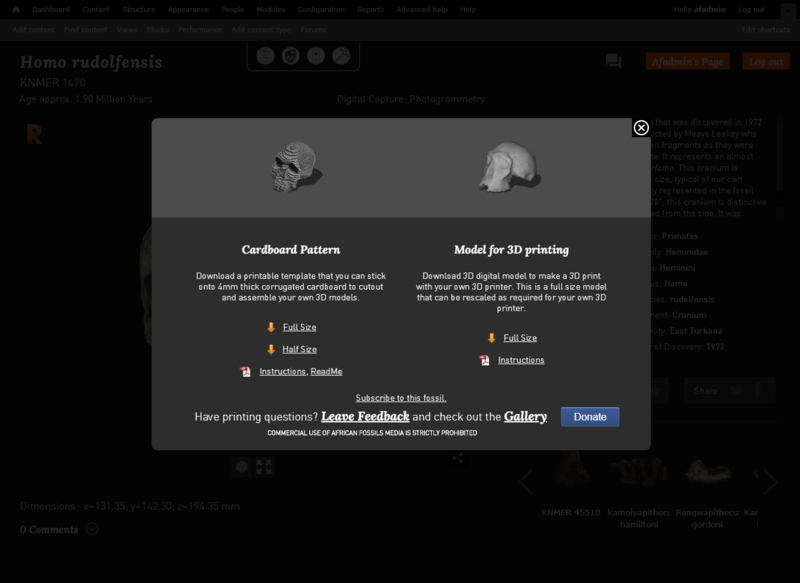 For dimensions, your website states 168*114*112 (the skull) and the use of 4mm thick cardboard. '123D make' however states different dimensions after import of the file. Hope to hear from you again. Many thanks. Final assessment: if you have access to a laser-cutting service, that approach is MUCH better. The craft scissors cost $16, while the laser cut cost $20. That $4 difference represents a huge savings in time and a significant improvement in quality. You can see that the edges are dramatically more crisp with the laser-cut version, and the contours are far smoother and more accurate. In addition, the laser cutters pre-drilled all the pin-holes, which eliminated a lot of unnecessary mashing of the cardboard. Mind you, I'm happy with both of them. I gave the laser-cut skull as a Christmas present and kept the hand-cut for myself, and I'm perfectly delighted to have it on my shelf in the living room, fuzzy edges and all. 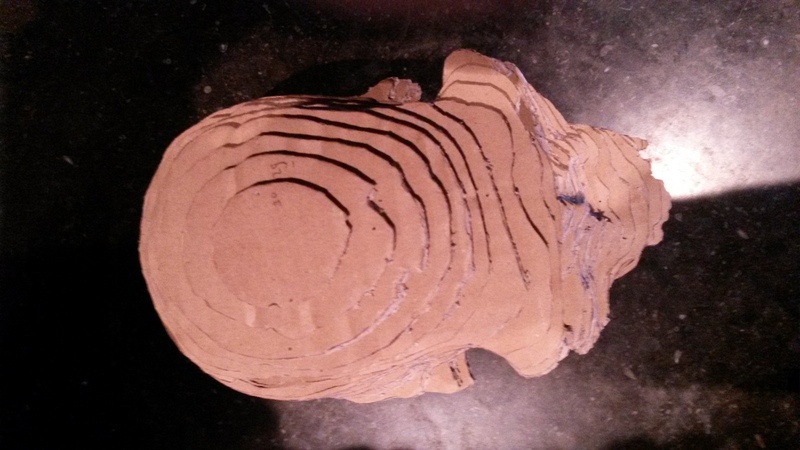 But we'd like to do another one--maybe a Paranthropus--and if we do, it'll be laser-cut all the way. Thanks again to African Fossils for making this wonderful resource available to everyone! I am a teacher with no access to 3D printing. I would like to build some of these skull fossils. How can I get the PDF files? That would be easier to print, glue and cut. If you have the files, my class will greatly appreciate! The pdf files are already attached once you hit the download button. You either can download a half sized or full sized model.